ROCKET Phoenix Tristan Cardillo Pro ist, wie der Name schon verrät durch die Zusammenarbeit mit Tristan Cardillo entstanden. Tristan war 2017 Junior European Champion im Downhill-Longboarding. Das Deck hat die neue „Naturalite“ Konstruktion. Das Besondere an dieser Konstruktion ist, dass es das Deck zwar extrem leicht macht und dabei trotzdem extrem gut Vibrationen abfängt. Weiterhin hat es ein „2-step drop profile“ mit 2 W-Concave Taschen für noch besseren Halt in der Kurve. Durch die Kombination von Wheel-Flares und Wheel-Wells können auch große Race-Rollen verwendet werden. Die Vverschiedenen Whellbase-Optionen (zwischen 56 und 64 cm ) geben dir die größtmögliche Freiheit um das beste Setup zu fahren. The Phoenix is made for speed and the smoothest ride possible. We designed it together with the 2017 Junior European champion Tristan Cardillo and built it with our new Naturalite construction. Despite being super light, it is one of the most vibration absorbent boards on the market. This makes it easier to grip the perfect line through corners. 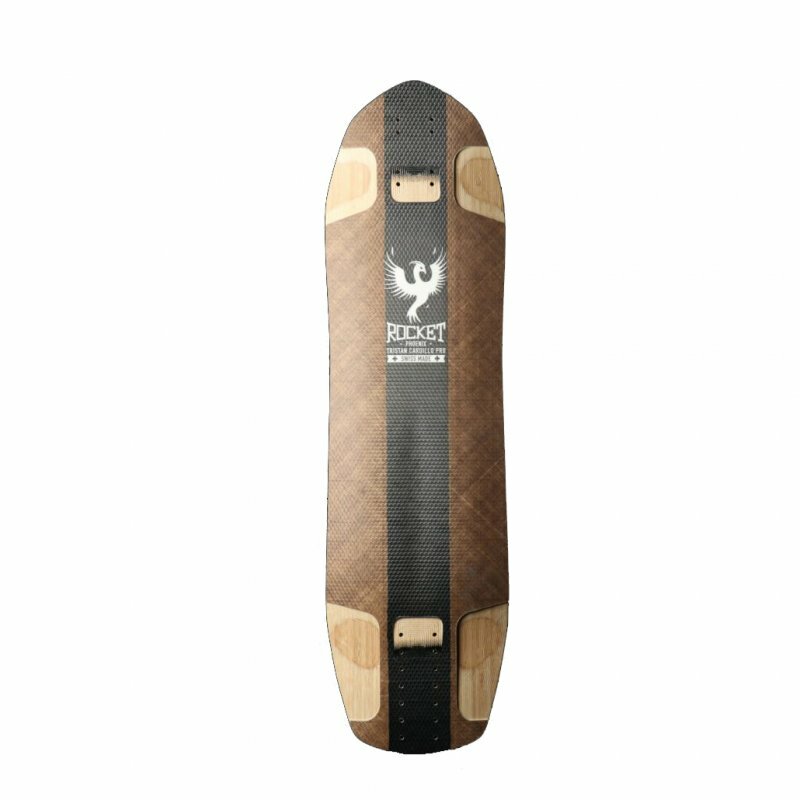 The board features a unique 2-step drop profile. Behind the front foot starts a second drop which creates two w-concave pockets to lock in your back foot. It’s difficult to explain but feels great under your feet. 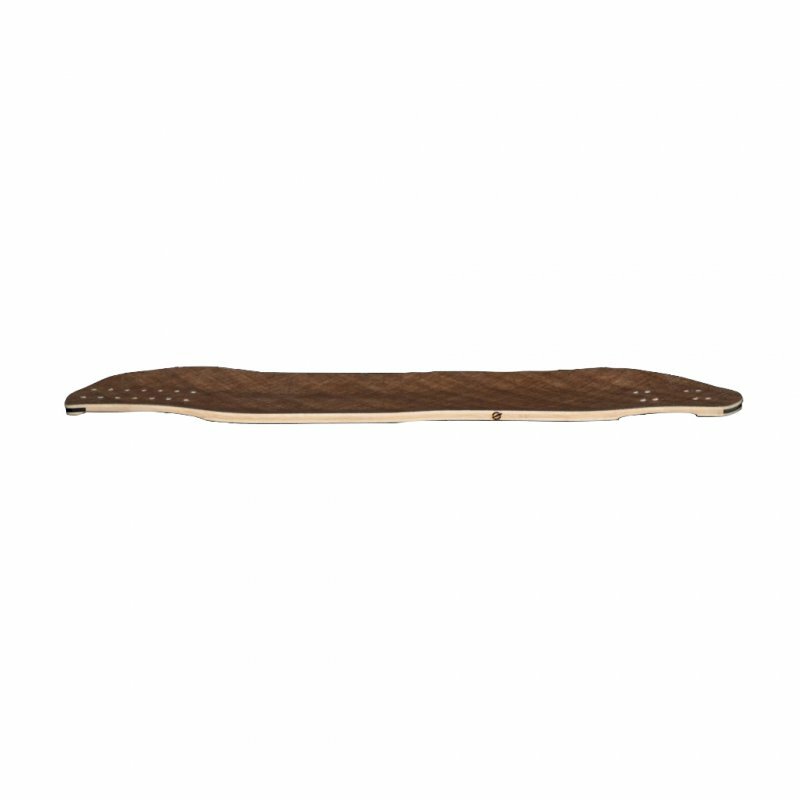 Thanks to the combination of wheel flairs and cnc’d wheelwells, this board has a great wheel clearance to rock some big race wheels even on narrow trucks. Various wheelbase options give you maximum freedom to dial in your setup.